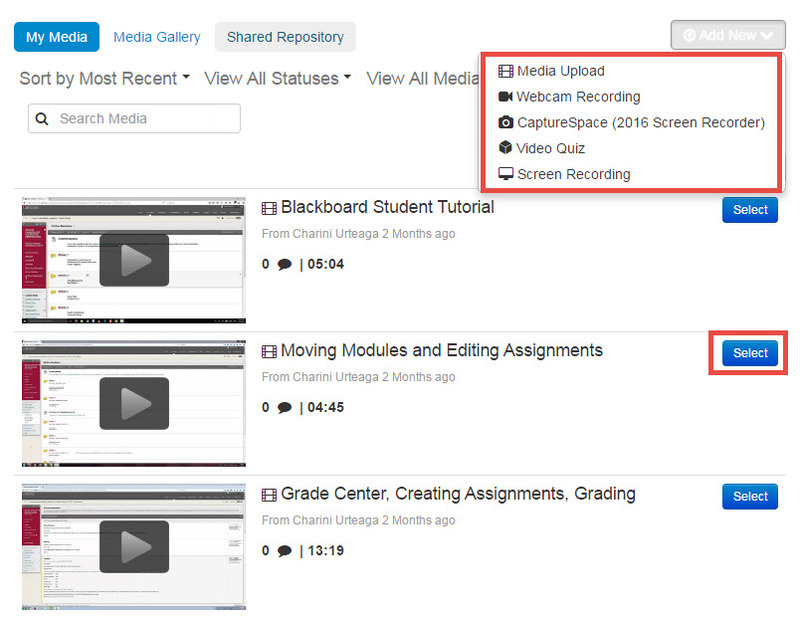 Instructions for students on how to add a Kaltura video to an assignment. Click on the assignment link. 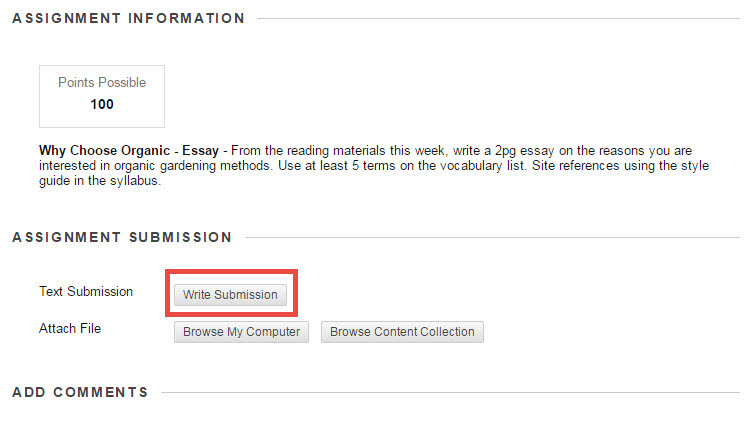 In the “Assignment Submission” section, click Write Submission to show the text editor. 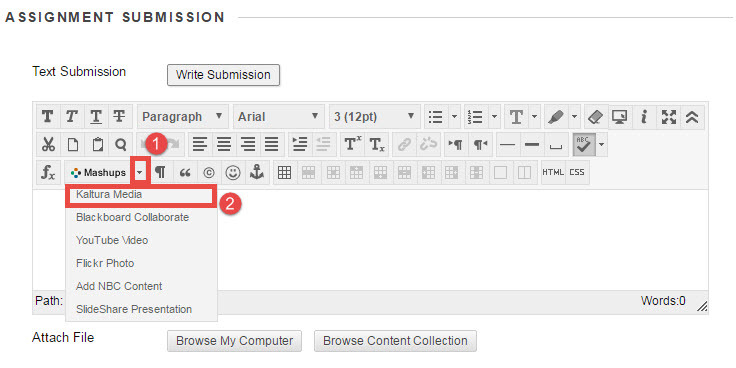 In the text editor, click Mashups, then select Kaltura Media. In the Kaltura Media Search pop up window, you can select an existing video from your My Media, or click Add Media to upload a video, audio recording, record a webcam video, or do a screen recording.